Over the years I have heard stories and met individuals who refused to join a church for a host of reasons. Some had been attending a particular church for over ten years and yet, refused to become a member. In some cases, they have some fear of submitting to anything; some are said to be waiting for the right time; others are still hurting from some past church experience and are now forever fearful of a repetitive cycle; still, some are just naive of what membership means altogether. It is entirely possible that after such commitment to membership occasions might arise where you will have to leave to another church and memberships will be transferred. This is all possible. But what you cannot do is act as if you can benefit from a local body, enjoy the blessings of family life and yet refuse to formally join such a body. You cannot claim the universal church by despising its expression in the local church. I was asked recently to provide a simple look at worship and applications to making worship a more worthy endeavor in the Christian life. My assigned area is worship. My specific focus is corporate worship. So, what is significant about corporate worship? First, a definition: “Corporate worship is the formal gathering of the people of God on the Lord’s Day where God gives gifts to his children and his children respond in praise.” Corporate worship is to be distinguished from private worship and informal gatherings of the saints throughout the week. The Bible assigns a specific day called the Lord’s Day as a day when the people of God come together and offer themselves to God in truth by the Spirit and where God comes and gives of Himself to His people in Word and Sacrament. Hebrews picks up this theme and says that we are not to forsake this gathering, because forsaking this gathering may lead to destruction. It may lead to the worship of false things. Ambrose Bierce, in his class, The Unabridged Devil’s Dictionary, says that a heathen is “a benighted creature who has the folly to worship something he can see and feel.” Essentially, a pagan worships that which can be created.The Christian worships the one who is a consuming fire, whom the Bible refers as Holy, Holy, Holy, Father, Son, and Spirit. Why is it important? It’s important because corporate worship is the most power Biblical method used by a Christian to wage war against the world. When we gather, there is a general biblical consensus in the Bible, that what we are doing is changing the world. The first response of the Christian in crisis is to worship. This is what we were created to do first and primarily. We are worshipping beings (homo adoranis). Finally, what practical steps can we take to steward this area of corporate Christian worship? 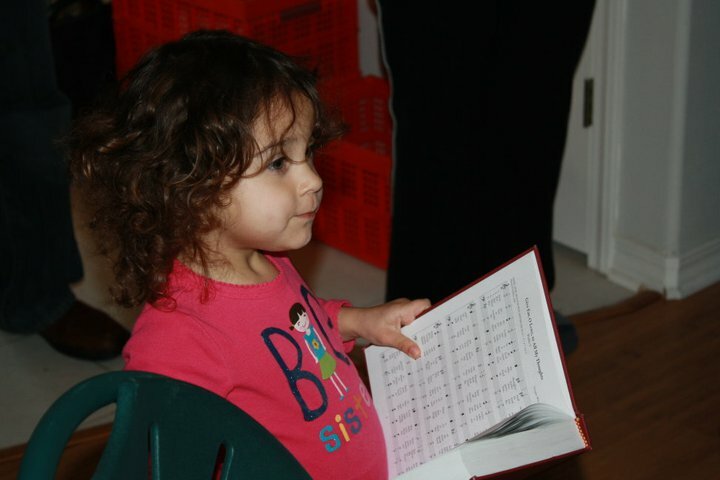 First, we can begin to train ourselves and our families to practice worship throughout the week. By practicing worship throughout the week in Scripture reading, prayer, and singing, we will be more equipped to worship corporately on Sunday. Second, instead of passive creatures on Sundays, instead of merely watching or listening to worship like a passive individual, we are called to participate wholeheartedly in the task of worship. In whatever tradition we may be a part of, we are called to joyfully engage in what is happening in worship. Sing with joy. Pray with fervor. Love one another as you have been called to love. Finally, and most importantly, be present. As Randy Booth once said, “The decision as to whether I will be in Church on Sunday is a decision made once in a lifetime, not every Saturday night.” Corporate worship is a requirement whether you are on vacation or a home. The question of baptism and its recipients is truly a matter of grace and not of works. It was my Calvinism that led me away from credo-baptism. I knew–though it took me a while to act on it–that grace was more than a mere soteriological category. Grace was everything and in every act of God for us. The question of an infant’s ability never crossed my mind as a barrier to accepting covenant baptism. The question of God’s grace was the key that unlocked the baptismal font. Baptism is a heavenly Pentecost. The Spirit is poured, not we who pour ourselves. Everything is of grace; Gratia sunt omnia. God identifies us as His own from the beginning as He did with creation and then He christens us with His spirit. Baptism is the divine hovering. Baptism is gracious because through it God re-enacts the creation of the world. In baptism we are a new creation. a God has copyrighted the world. He labels, gifts, and graces. Man does not have that capacity; man does not create in and of himself, therefore man cannot change his own identity. We are imitators, but yet only capable of imitating because God graces us with His artistic gifts. In the beginning, the world is first identified by the Triune God (Gen. 1) and then it is called to praise that God (Ps. 19). We are first identity-less (dark and void), and then God fills us with His Spirit (light and life). Baptism is all of grace. We were void and empty. God looked at us (Ezk. 16) and washed us and clothed us with fine clothing (Ps. 45). Infant baptism is of grace because it is the re-enacting of creation. Creation begins in darkness– as in a womb– and is washed. It is like our God to destroy nations with fire and to create new ones with a few drops of water. We are not just speaking of making up rules as we go, but of a prepared spontaneity. This demands wisdom; wisdom that at times is not available in a handy “how to” book. Wisdom that needs to be gained in community; a community that struggles together with you and is not afraid to consider and learn from their mistakes. What is easier? To ground a child after an act of disobedience or to speak and nurture a child after the act? What is easier? To separate two children after a dispute and send them to their separate rooms or to engage them each and teach them how to confess sin and find reconciliation? Parenting is hard because dealing with the consequences of our children’s sin is time consuming. Instead of dealing with each issue the easy way, and instead of treating each sin as an interruption, the ways of God demand that we change our attitude about these things and realize that parenting “is never an interruption.” b We should look at our roles as parents as roles that demand constant interruption. When children rebel that history of rebellion is filled with fathers and mothers (mainly fathers) who did not use wisdom when their plans were interrupted, but who rather chose the easy way out. We need to be spontaneous in our parenting, but not spontaneous to apply easy-fix answers, but spontaneous enough to be interrupted regularly, and then choose the strategy of long-term discipleship.